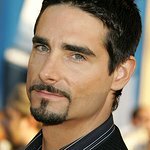 On Sunday, December 18, former Backstreet Boy Kevin Richardson joined musician Rob Gonzalez for a very special charity concert in Beverly Hills. LookToTheStars.org got the chance to talk to the singers prior to the “Home For The Holidays – A Concert To Benefit The Angeles Clinic Foundation” event. Kevin, the world has been thrilled you recently joined the Backstreet Boys for a reunion. Would you consider yourself as the band’s philanthropic voice? All of us have our own causes that speak to us individually. My past was a little more political with my environmental endeavors. But cancer is very close to my heart. My cousin Brian was born with a heart defect; so he founded the Health Heart Club for Kids, which he’s been running for years. And Howie lost his sister to Lupus; so he has a Lupus foundation. AJ’s been doing a lot of work, as well. Rob, you are compared to legends like Van Morrison and Ray Charles. What do you think is the purpose of music in society? Music unites everyone on a common playing field. The purpose of music is to just bring people together—to elevate people to a higher ground. But it has many, many contributions it has to offer, like bringing about social changes. Myself personally, I’ve always loved that fact that I can use my music to contribute and give back. Kevin, what do you think is music’s point? Music brought me to a window of imaginary places, and took me on journeys, when I was listening to it alone in my room. It would take me places. Your benefit concert is this Sunday. How exhilarated are you that you’ll be performing together at the gorgeous Montage? Kevin: I’m very excited. I love Holiday music. I love Christmas music. My dad was a huge Dean Martin fan. And, around the Holidays, right after Thanksgiving, as a child I would hear the old Christmas albums—Dean Martin, Elvis Presley, Levi Archie, Nat King Cole, Brill Crosby. When I hear those songs, it takes me right back to my childhood, and brings back a lot of fond memories with my father. So, the vibe of this show is a throwback to the era with the Rat Pack and Dean Martin, and those Christmas, Holiday classics. I’ve been wanting on my own accord to do a Christmas album for many years, that we, as the Backstreet Boys, never did. I love Christmas music. I love Holiday music. And I love the Holidays! Rob: The chance to play these classic, timeless songs and have a 6-piece string section, and a horn section, and the choreography and the cancer cause—it gonna be a lot of fun. This time of year, it great to get people together and enjoy an evening of fun—and all for a great cause. It makes me excited and happy to do it. Kevin, why did you choose to donate all the concert’s proceeds to The Angeles Clinic Foundation? I’ve become friends over the years with one of the physicians who is very well connected to The Angeles Clinic, a gentleman by the name of Dr. Lawrence Prio. When I was thinking of putting together this show, and who I wanted to contribute to, Dr. Prio mentioned to me the Foundation. The more I looked into it, the more I was confident about picking them as a great charity partner for the event. Would you do more concerts like this in the future? Kevin: We would like to make this Sunday event for the The Angeles Clinic an annual event. And hopefully we can do that. If it’s right, and it’s meant to be, it will happen. Kevin, what about cancer prevention speaks out to you? Cancer prevention is very close to my heart because my father passed away from cancer in 1991, when I was only 19 years old. And my mother-in-law is a breast cancer survivor. So I’m doing this Home for the Holidays event to raise money for cancer research and treatment, and to increase awareness. Kevin, in addition to spreading awareness, what do you do to fend off cancer? I just try to buy products that are as organic as I can get’em. Eat my vegetables. And exercise. And get check-ups; visit the doctor. I’m gonna get my colonoscopy this year, right after the New Year. Screening and early detection is the key to defeating and preventing colon cancer. Rob, what precautionary steps are you taking to dodge cancer? I work out and eat healthy. When I go to the gym, I like to do cardio, and I like to lift weights. I also like to go to the park. Kevin, the environment has been another passion of yours. What does your charity, Just Within Reach, do? I decided to close that foundation because we were surprisingly having trouble raising funds because it is such a political topic… with the environment, there are two sides to the argument. It’s only logical that, if we take care of our environment and our earth, we’ll be healthier and happier human beings. But, apparently, that’s a debatable subject. I did send some kids to college on environmental scholarships, make an environmental educational video with National Geographics that went to thousands of schools across the country, and started a Kentucky Chapter of the Riverkeepers with Robert Kennedy, Jr. I also spoke in front of a Senate subcommittee in Washington, D.C. on mountaintop removal. But, I decided to lend my voice to well-established organizations like the Natural Resources Defense Council, and get involved with their causes because they are well established, and have stronger roots. Kevin, how do you and Kristin instill environmental responsibility in your son Mason? It’s just so amazing that he already knows about conserving electricity. And he talks all the time about saving the planet and saving the earth—and he’s only four. And he knows to recycle, and turn the water off while brushing our teeth. It’s pretty amazing. You just teach and that’s all—and he teaches me, too. Rob, your song All Right is an exceptionally uplifting and socially-conscious. What does issue placement mean to you? As far as issue placement in my songwriting, it’s not conscious thing to interject issues into my songs. It’s more about what is in my heart at the moment. With that song, the song just came to me being at home with my parents. Wanting to just get away from the negativity that goes on in the news, and just juxtapose that with looking into all the things that are right about the world. Rob, so do you feel embroidering social issues within lyrics to be effective at bringing awareness to worldly issues? Yes and no. I suppose if it’s genuine. The thing about music that really gets people is authenticity—when it’s really heartfelt and authentic. So, if the artist really feels strongly about a message and wants to make a great musical statement about it, then I’m all for it. But, I think, just to design music purely for the purpose of sending out a social message is not as effective. People can see through when someone is being disingenuous. Kevin, Jack Johnson's last album was completely recorded with solar power. Would you do the same? I’m certainly willing to look into that. I think it’s great—it’s awesome. I think it shows some leadership, and I’m glad he did that. So, I’m certainly open to that. Rob, would you perform in a concert powered solely off of alternative energy? I would love any opportunity to do that any time. For more information on preventing cancer and staying healthy, read up on what the American Cancer Society has to say.